Bera is a small hamlet about 150 kms from Udaipur . The main attraction of Bera is the Jawai Bandh – the largest dam in Western Rajasthan. 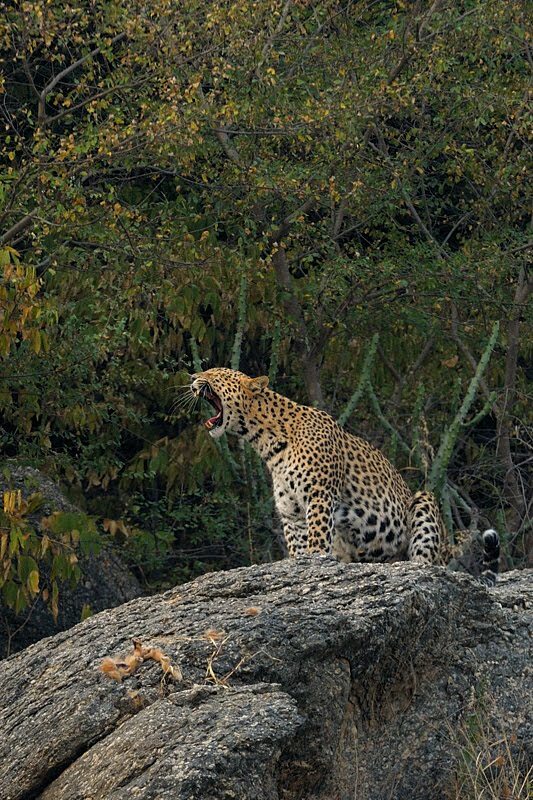 The harsh hilly terrain of the region is also home to many Leopards. 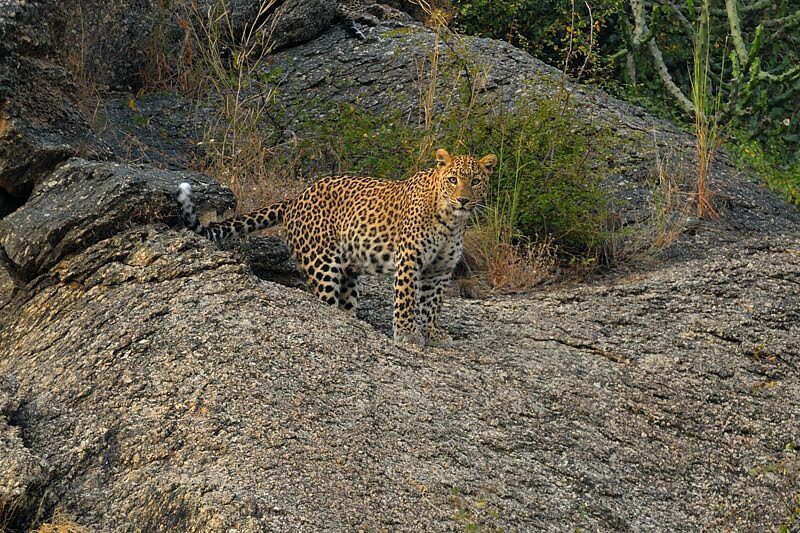 This wildlife experience is about one such Leopardess, which had made home in a hillock adjoining Mr. Devi Singh’s farmland. Mr. Devi Singh is the proud owner of the Leopard’s Lair resort, commonly known in the region as ‘Thakur Sahab’s Bageecha’. 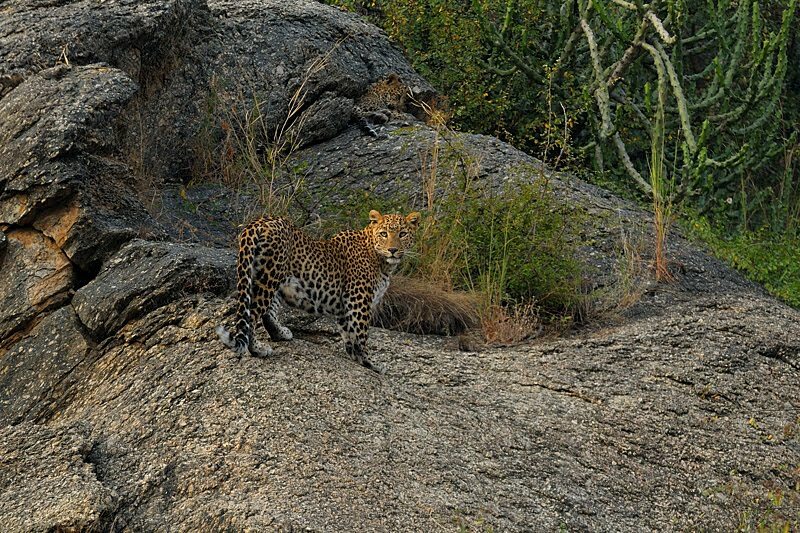 We were fortunate to observe the Leopardess of Bera in all her glory every morning and evening that we stayed at Leopard’s Lair.Here are a series of images from the incredible sighting of the Leopardess of Bera. All images were taken with the D300 with the 300mm f2.8 lens mounted with the 2x Teleconvertor. Wow mate, these are absolutely stunning images! Wow there are even breathtaking shots! What a beautiful beast and how ell you got it… Splendid! Superb. The eyes in the first and last, are just amazing. Nothing wears spots better than a leopard!!! Absolutely gorgeous. I don't think she was all that happy at your presence, but non the less! Leopards are just amazing animals. Excellent series! Great serie, all those image are interesting..but the 1st one really stands out! I like how she blends in with the background in the first shot. In the last one, she looks a little angry! A beautiful animal! You're photographs are stunning! How cool! What a beautiful animal. The only time I get to see Leopards are when they're in the zoo. Kind of sad when you think about it. 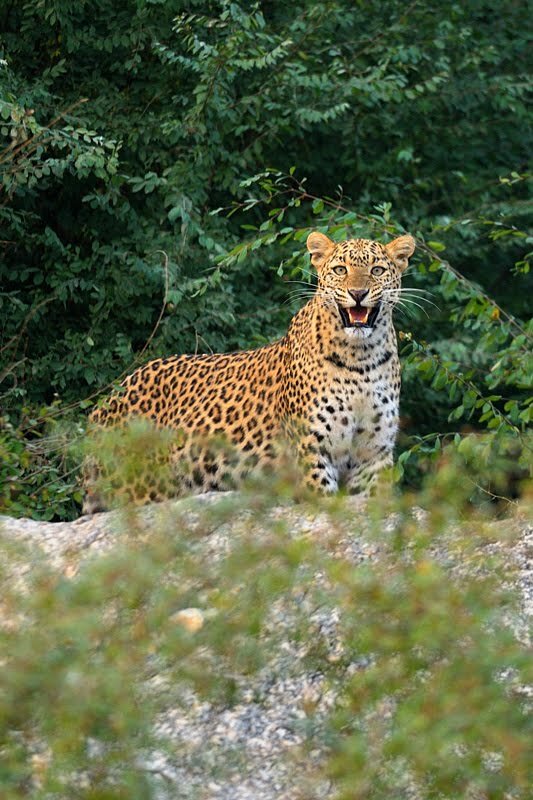 Super series of the beautiful Leopardess. FAB. Superb photographs of this wonderful encounter. I’m not sure if it can get better than this! These are excellent and she is sure a beauty!!! Awesome captures! 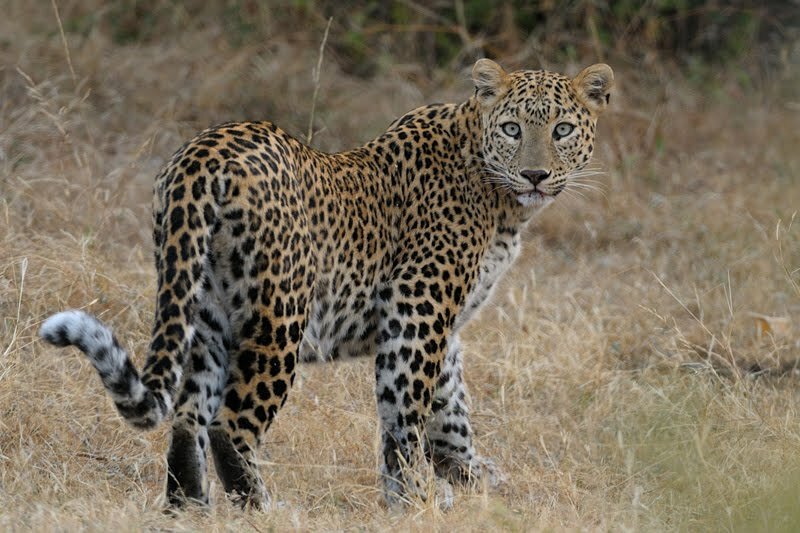 It seems that leopards have much longer tails than tigers do. And a very nice set of fangs! Absolutely beautiful stuff as always, Thomas. You're making me want to visit India and do some photography!! Really a big big cat ! Wow. What a beautiful animal. When we went on safari in Africa, we were lucky enough to spot one from far away in a tree. Of course, our photos are nowhere near as stunning as these. Great work! Wow,one of the most magnificent animals to roam the wilderness ever!